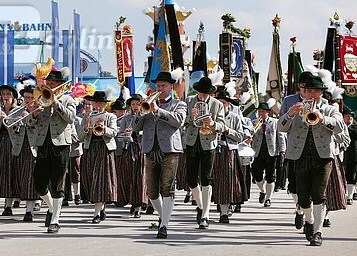 We are happy to announce that Gauverband Nordamerika will be taking part in the Trachten- und Schűtzenzug (parade) at the 2014 Oktoberfest in Munich on September 21, 2014. This is also the same year we will be promoting the upcoming 50th Anniversary of Gauverband Nordamerika and the 100th Anniversary of S.V. Edelweiss Chicago. All Vereine and members of Gauverband Nordamerika are invited to participate. If you would like to participate as a Verein or individual, you must be a member of a Trachtenverein in Gauverband Nordamerika and all names must be submitted no later than the end of August 2013. After submitting names of participants, Vereine and individuals will receive the Guidelines concerning Tracht and rules for the parade which is set up by the Festring Műnchen e.V. who is the governing body of the parade and Oktoberfest. This is an opportunity that doesn’t come around very often and it is an honor to participate. So let’s have a good showing at the parade and show everyone how proud we are of our customs and traditions.